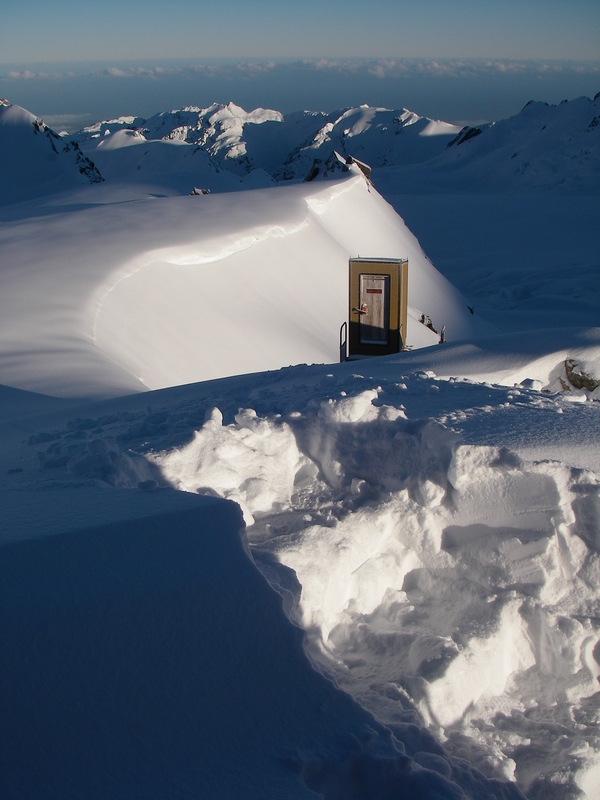 It’s storming outside, and snowing in the backcountry. 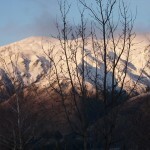 Another log goes on the fire in our base here in Wanaka, NZ. 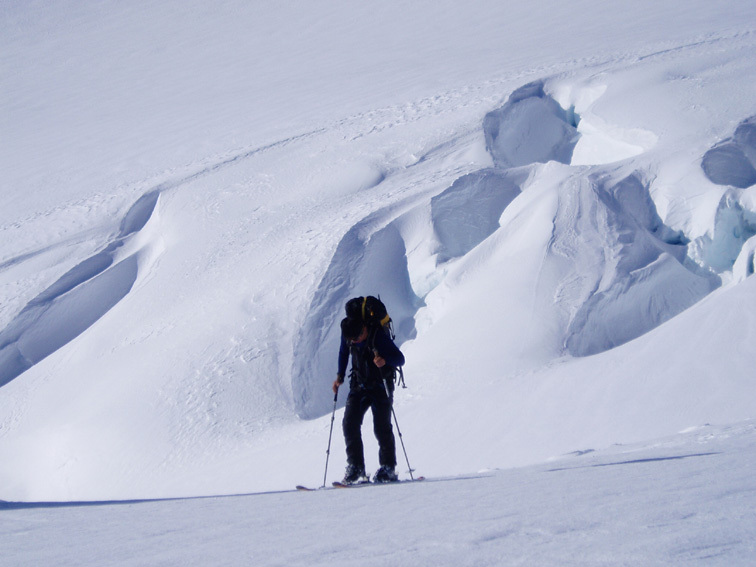 Yes we are about to head over to Switzerland for 3 Months( for the Swiss summer), and then return for what looks like a great ski touring season shaping up. 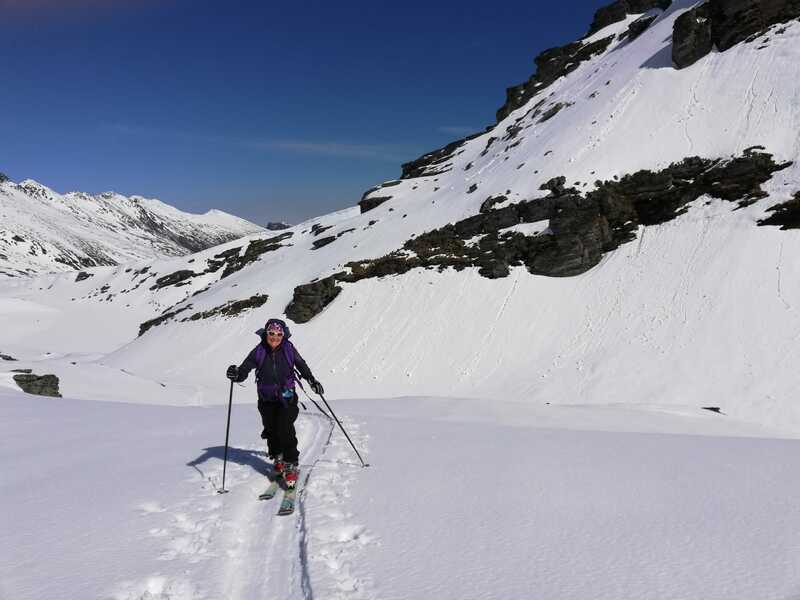 Ski touring in September and October might be something you are thinking about. 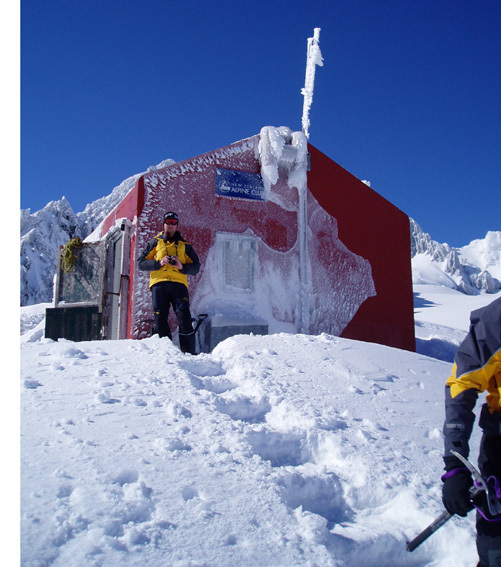 At that time of the winter, there will be maximum snow, more stable snow pack and warmer temperatures up high at 2400m where we stay in the NZ mountain huts and go touring. The most fantastic time to go touring in the big mountains and glaciers in the backcountry. 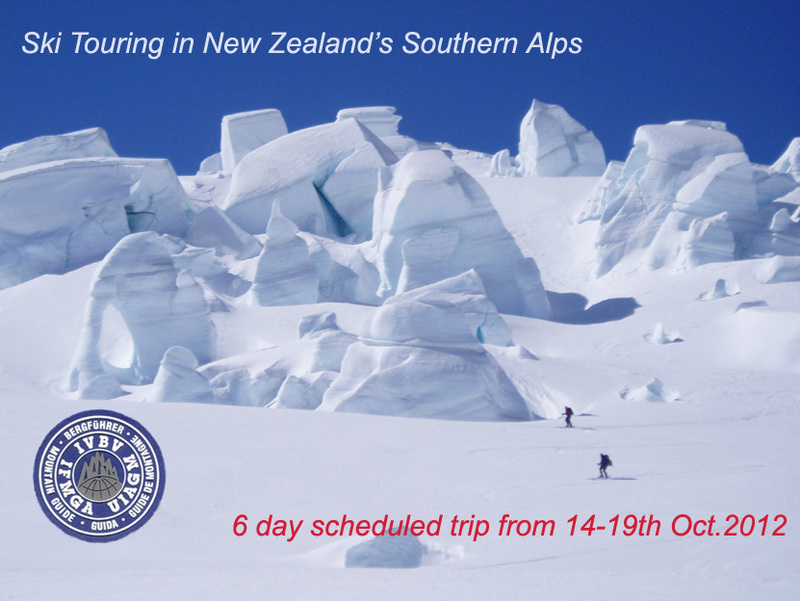 It’s not too early to think about and get in touch. 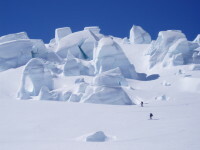 Spectacular safe ice formations for ski touring amongst. 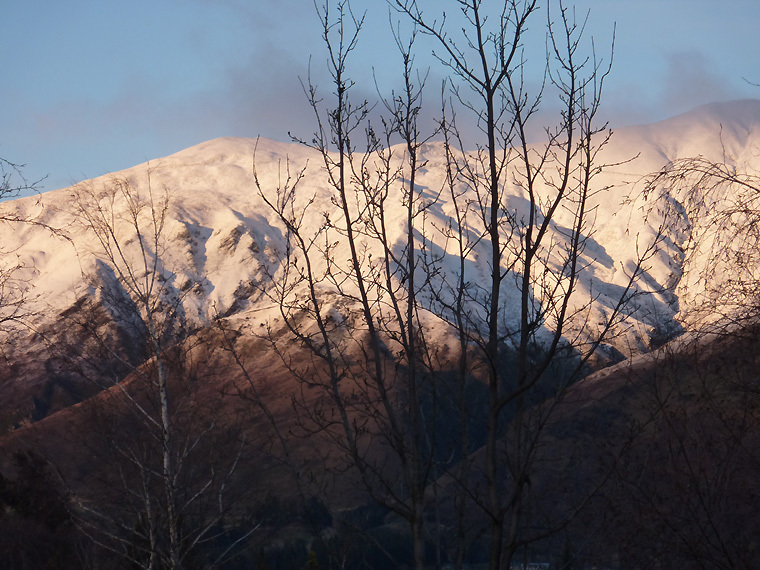 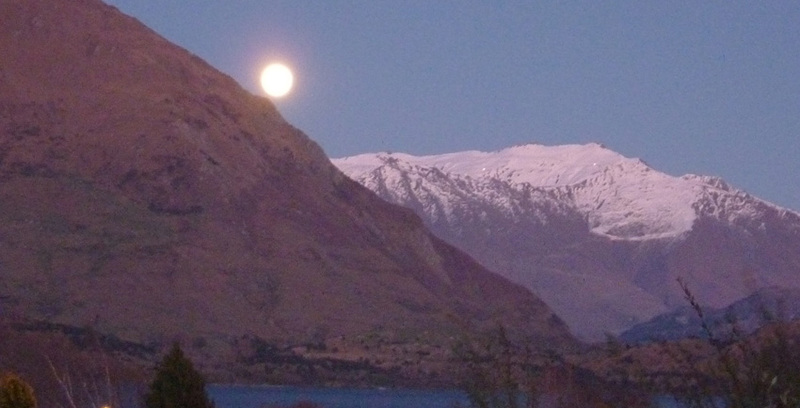 Back in Wanaka for a week now! 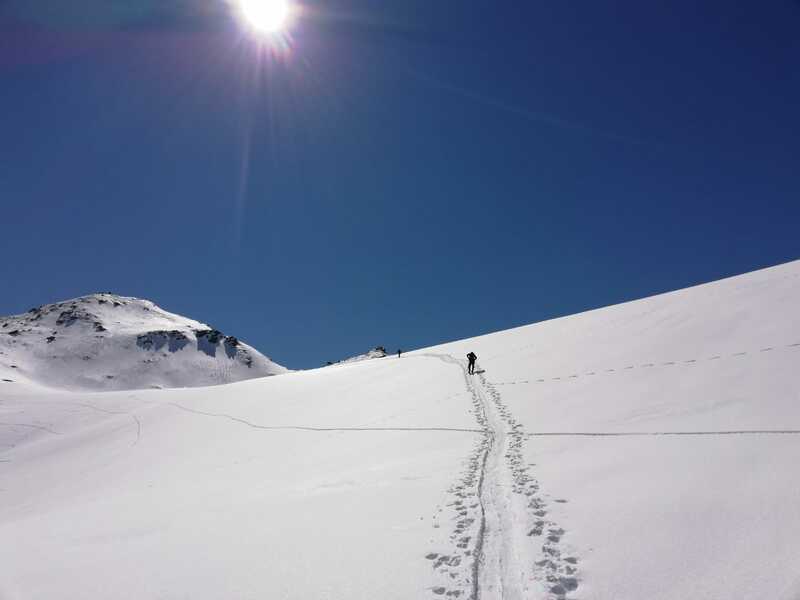 Returning from our Alpinism activities in Europe, fresh snow has arrived and ski conditions on the local ski fields are the best all winter – so we’ve heard and tested! 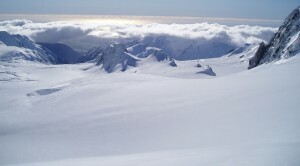 Iris checked it out during mid week and thoroughly enjoyed Treble Cone while Gary with his team of three keen ski tourers flew up from Fox Glacier to roam the areas near Pioneer and Centennial hut. 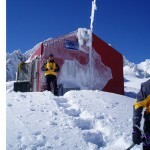 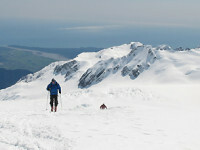 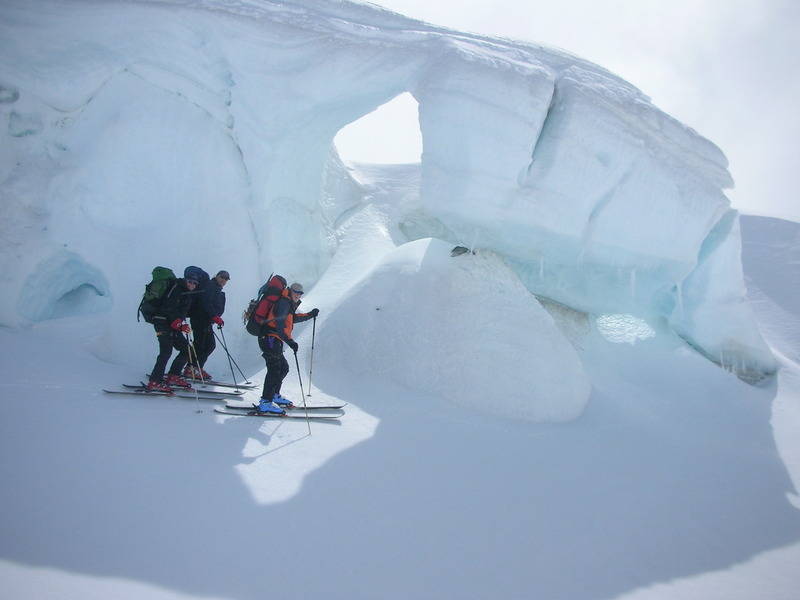 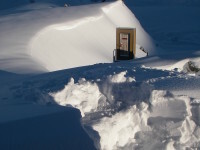 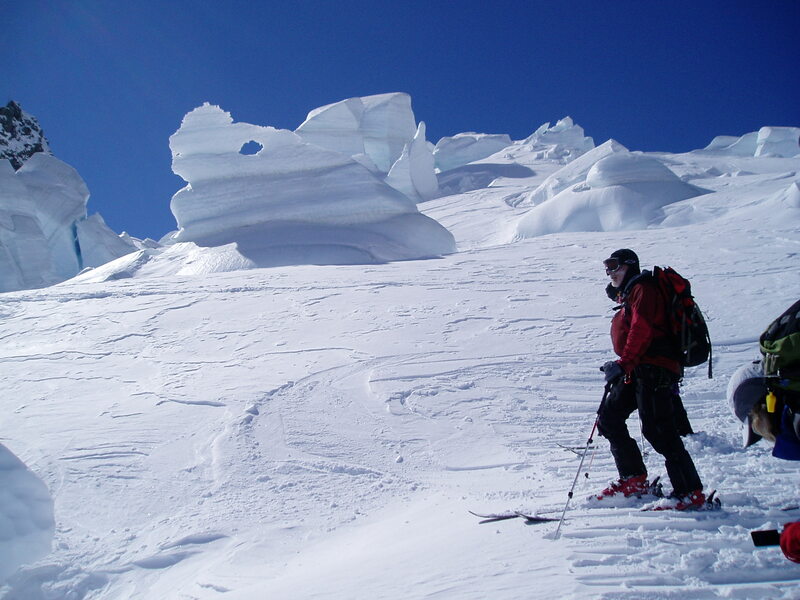 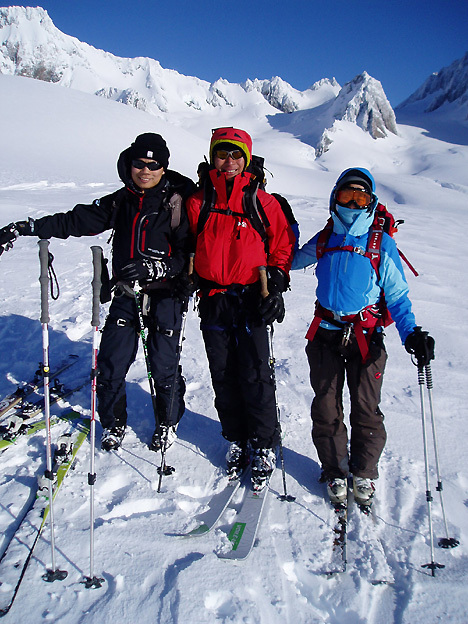 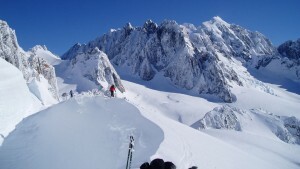 Ski Touring in October 2012: there is a window for a private ski touring adventure with chief Mountain Guide Gaz in person, choose your 6 or 7 day trip between 6th – 16th Oct. 2012, bookings taken now, email for inquiries.